AMD has announced that it will host a press event at Computex on June 3rd in which the company will introduce its 2015 product lineup, promising that “comprehensive details” will be disclosed. Thanks Metro for the tip ! 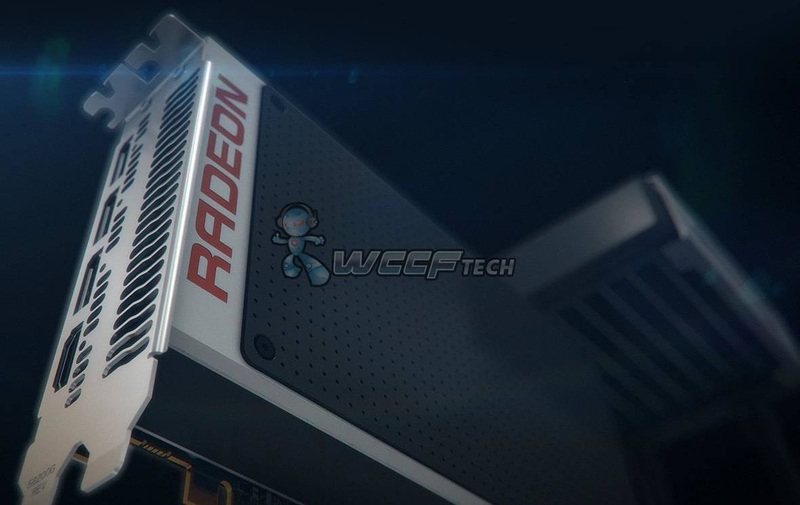 We reported five days ago that Radeon 300 series GPUs will officially be released in stores and online in June. on the 24th and 18th of June for Fiji and the rest of the lineup respectively, to be more precise. That’s when you will be able to buy your shiny new 300 series Radeon. However AMD’s plan is to officially announce its new chips and graphics cards before then. Computex will be the venue in which AMD will do that. AMD also has an E3 PC gaming event coming, which we believe the company will use to showcase its Fiji GPU in all of its potential glory. AMD would like to cordially invite you to our press conference at Computex 2015. You will get the opportunity to see AMD’s latest products and leading-edge technologies, while experiencing immersive visual, computing, and gaming demonstrations. During this event, AMD executives and special guests will be introducing new, comprehensive details on AMD’s 2015 product lineup. This is AMD’s statement which was issued to announce the event and invite the press to attend. We believe that AMD will focus primarily on its Carrizo and R 300 series products. “Comprehensive details” means that we expect to get actual product specifications and nomenclature. Which should put a definitive end to the on-going speculation once and for all. We talked about AMD’s Carrizo chip before, and how AMD has worked to push its power efficiency. The company claims that Carrizo will deliver the biggest generational leap in performance per watt ever for mainstream APUs. On the discrete GPU side AMD has so far announced only a few R9 300 series products which are actually just 200 series rebrands for OEMs and system builders. The new 300 series graphics cards will debut at Computex. And so far we have been able to identify that Fiji, Hawaii and Tonga GPUs will be featured in these upcoming 300 series discrete graphics products. It has been officially confirmed that AMD’s upcoming Fiji GPU, R9 390X, will be the world’s first to feature stacked High Bandwidth Memory. HBM represents the revolutionary step that has been so badly needed in the evolution of memory standards. The first generation of HBM promises to deliver 4.5X the bandwidth of GDDR5 and a staggering 16 times the bandwidth of DDR3. I should point out that it’s not yet confirmed if Fiji will actually be shown at Computex. Some rumors indicate that the GPU will be showcased at E3 instead. Apart from Fiji AMD will also debut enhanced versions of the Hawaii GPU inside the R9 290X and R9 290. These updated chips will have higher GPU and memory clock speeds. We’re looking forward to Computex and all the exciting new technology that will undoubtedly be shown there. Stay tuned.